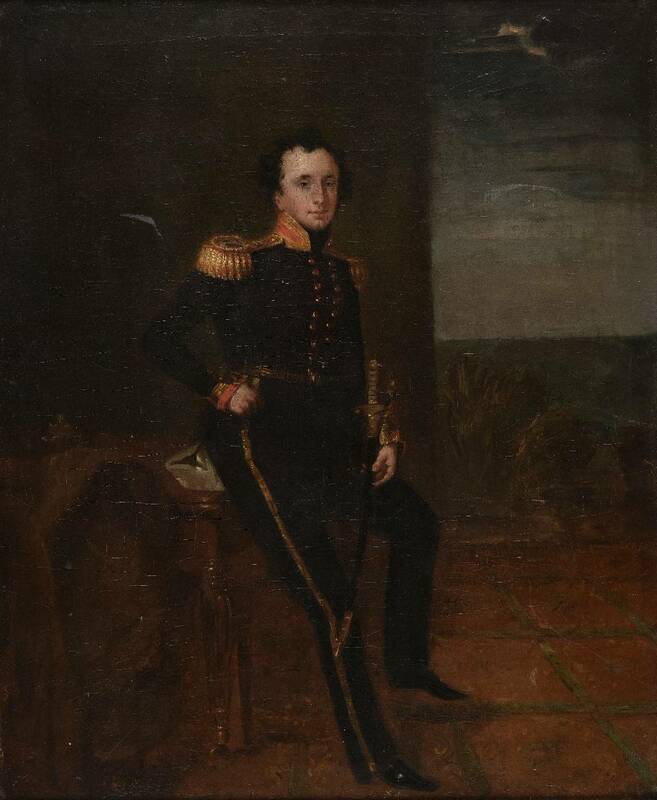 Follett Walrond Pennell (1804-1876) was the son of William and Elizabeth Pennell. His father served as His Majestys Consul-General at Rio Janeiro. Follett entered the Royal Navy, as midshipman on board the Impregnable 104, bearing the flag of Viscount Exmouth, at Plymouth in February 1818. He subsequently served under Captain the Hon. Fleetwood Pellew, and Commodore Sir Edward Owen, in the Revolutionnaire frigate, and Gloucester 74, on the Mediterranean and West India stations. He was promoted from there to the Pyramus 42, serving under Captain Francis Newcombe in September 1824 and appointed to the Rainbow 28, Captain the Hon. Henry John Rous, at Chatham, July 30th, 1825; and moved to the Cyr‚ne 20, Captain Alexander Campbell in the December. He advanced to the command of the Fly 18, on the East India station in November 13th, 1826 and commissioned as captain in July 14th, 1828. From 31 May, 1834, until being paid off in July, 1837, he served in South America in the Talbot 28. Captain Pennell married in 1838, Catherine Anna, daughter of Colonel M'Murdo, of Lotus, Dumfriesshire and they had one daughter.